No-go is an inclusive activity to develop fielding, throwing, catching and ball placement skills. Players line up across from each other, separated by a no-go barrier. The ball is thrown across the barrier. Opponents catch or field the ball and send it back. The teams score points when the ball bounces on the opponents’ side twice before it is caught. 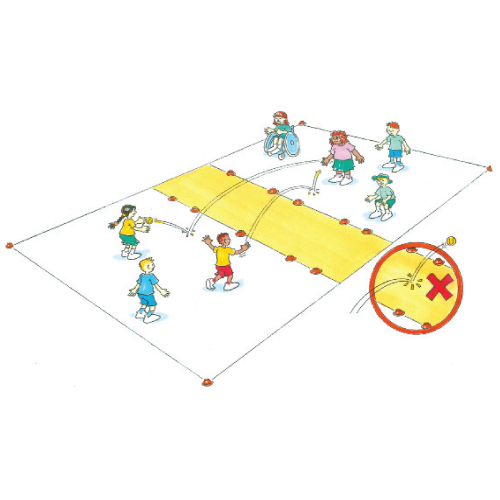 Opponents send the ball out of the marked area and the ball lands in the no-go zone. Where should you stand to defend the space?